– Avast has release a new version 6.0 of their antivirus and internet security products including the free antivirus edition. Download it from avast to enjoy the best free antivirus software, with more features and improvements. What is new in the latest edition? 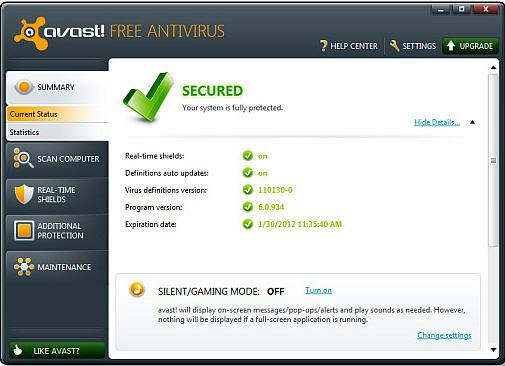 We earlier did a review of the features in avast free antivirus 5. Here we detail the new features and improvements introduced in the latest edition, that makes it even more robust. With more and more people now using 64-bit windows 7 and Vista, the need to support the 64 bit architecture of Windows OS was imperative. Avast 6.0 now offers support for them i.e Windows 7 64-bit and Vista 64-bit. The following are the other significant features and improvements. A new auto-sandbox feature that prompts the users to run suspicious applications in a virtual Sandbox environment. This will ensure that your computer doesn’t get affected by any viruses or malware, if any. Check out the review for more details on this. The current edition also provides a new community backed website reliability and reputation indicator. When a majority of users report a website to be malicious, avast would verify and provide appropriate reliability and reputation ratings.This is introduced to help the user community. Boot time scanner for viruses has been extended to windows 7 and vista and has also been improved further to guard against any viruses that the operating system can start, while booting up. 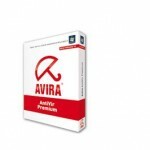 The free antivirus edition primarily offers core protection i.e. antivirus with anti-spyware protection. However, the latest version has an improved core protection engine, that scans better and faster, to protect your computers against viruses, spyware, and other malicious agents. Behavior shield has been further improved to stop new threats and malware from infecting your PC, before the latest virus definitions are obtained. Avast uses information obtained from a section of its community, that opt in to provide data about any new threats, anonymously and automatically. The data helps keep the virus definitions up-to-date. You can free download avast antivirus antivirus 6.0 edition here. Make sure that your computer meets the system requirements detailed below, before you download and install it. If you aren’t using avast antivirus yet, you are missing out one of the top free antivirus software. You may also take a look at other best free solutions like AVG 2011 and Avira Antivirus for PC Security.